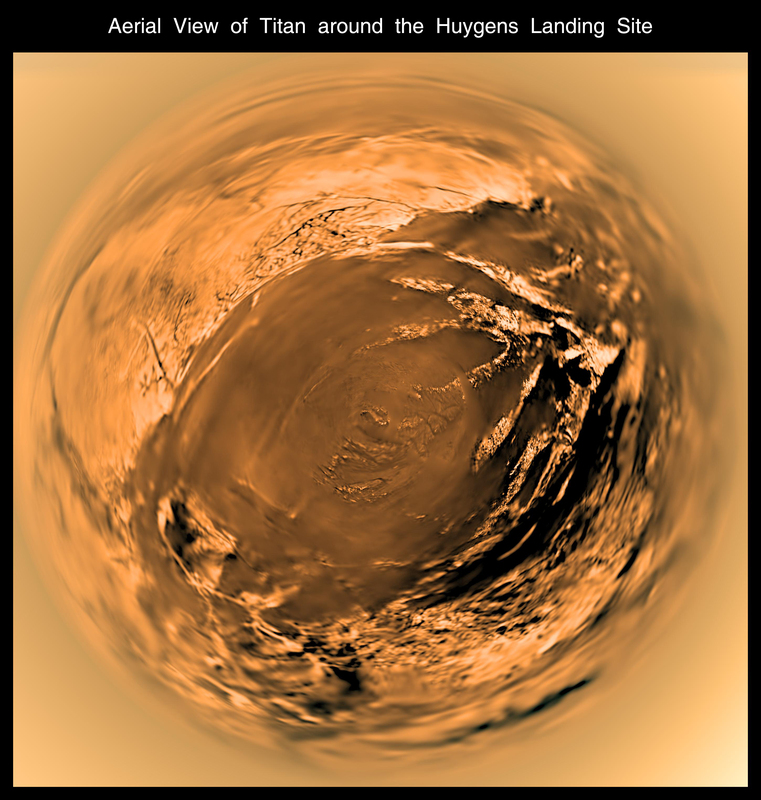 This poster is a stereographic (fish-eye) projection taken with the descent imager/spectral radiometer onboard the European Space Agency's Huygens probe, when the probe was about 5 kilometers (3 miles) above Titan's surface. The images were taken on Jan. 14, 2005. The Cassini-Huygens mission is a cooperative project of NASA, the European Space Agency and the Italian Space Agency. The Jet Propulsion Laboratory, a division of the California Institute of Technology in Pasadena, manages the mission for NASA's Science Mission Directorate, Washington, D.C. The descent imager/spectral radiometer team is based at the University of Arizona, Tucson.